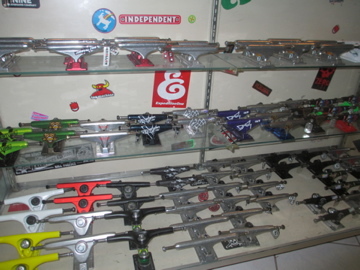 Skateboard decks, trucks, wheels, bearings, longboards, cruiser boards, skate shoes, t-shirts, protective gear, griptape, sunglasses, dvds, banners, hardware, and accessories! Cade’s Boards Shop Decks are superb! My son turns 10 this summer, and is a beginner skateboarder…what would be a good quality longboard for him to start off with? 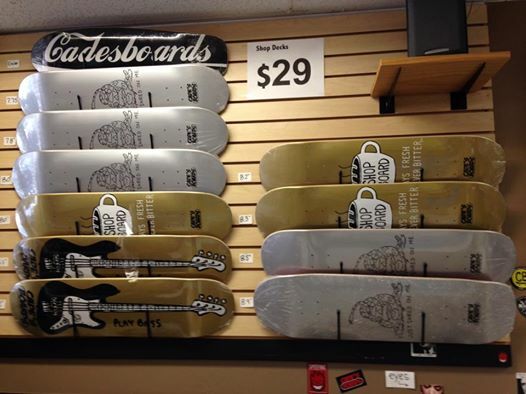 Does your shop carry any original longboards? No, not big fan of their weird trucks. do you sell sliding gloves? Do you sell cruisers? Include prices. What would be your best type of complete for a beginner, price? Hey Eric I got a rodney mullen deck.Do you think I should get 7.75 independent trucks and some spitfire wheels 53mm because I’m doing freestyle. 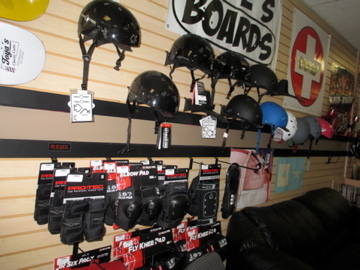 Come by the shop and we will set you up with the proper set up! Yes, call the shop 281 419 0900 and we can have whatever Comet model you want delivered right to the Cade’s Boards shop and you can come and buy here! What time do you open on Fridays? 10am on Fridays! Yes we have Sector 9 Butterballs! No longboards under 100 sorry my friend. 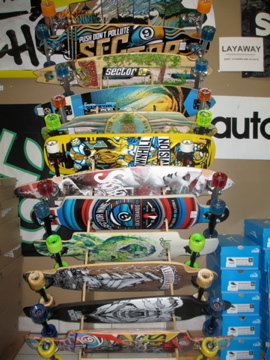 We do have ez pay layaway that you can use on a high quality longboard. Ya we got Pennys they are just 99-109! do you guys sell helmets? If I was to buy a board, ride it and decide that I wasn’t satified with it, could i exchange it for a diffent board? Not if it is: gripped and used. Call the shop! (281) 419 0900 ! Talk to Eric the owner, or CJ or Josh or Jon! We can help!